Sri Lanka, known as "the teardrop of India", is a small but amazing island with ancient history and rich culture. There are eight remarkable world's heritages designated by UNESCO in Sri Lanka-Sinharaja Forest Reserve and the Central Highlands are two natural landmarks and others are cultural ones. 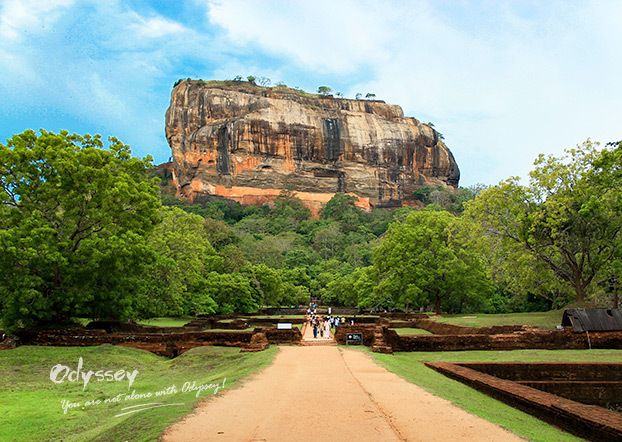 Sigiriya, also called "The Lion Rock", is both a rock fortress and palace constructed by King Kasyapa at the end of the 5th Century. A gateway is built in the form of enormous lion, hence the name Lion's Rock. The palace on the flat top of this rock is decorated with colorful frescoes, which are probably Sigiriya's most popular attraction. Sigiriya is famed for owning some of the oldest landscaped gardens in the world and the mirror wall that has verses dating from as early as the 8th century as well. Top Tip: Climbing the Sigirya Rock is not an easy task and you will pass through some large rock structures. Anuradhapura is the cradle of ancient Sri Lankan civilization and the sacred centre of the island's Buddhism.  There are some well preserved ruins of ancient palaces, monasteries and monuments attracting visitors to explore. It also contains the holy 2,000-year-old Bo Tree, grown from a sapling of the Bhodi tree under which the lord Buddha attained enlightenment. This ancient city is renowned one of the world's major archaeological sites and boasts the most unearthed Buddha's relics according to historical records. Top Tip: The ruins of Anuradhapura are more scattered and you should select some to visit. Polonnaruwa is the second most ancient of Sri Lanka's kingdoms, after the first capital of Anuradhapura. Its fabulous art, splendid medieval architecture, great irrigation facilities and green environment present a unique Polonnaruwa to travelers. Besides, the ancient city of Polonnaruwa is considered as one of the best planned archaeological relic sites in Sri Lanka, including the Brahmanic monuments built by the Cholas and the monumental ruins of garden city constructed by Parakramabahu I in the 12th century. Top Tip: Polonnaruwa is much more compact and you are suggested to visit it by bike, or have to be prepared for 6-10 kilometers of walk. The tooth in the Temple of the Tooth is revered by Buddhists worldwide. 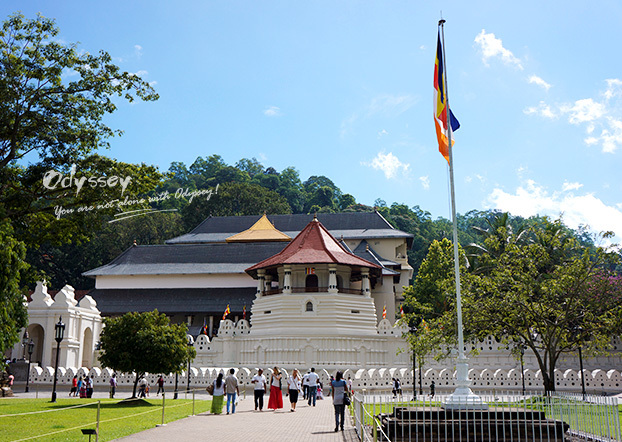 Kandy is generally recognized as Sri Lanka's cultural capital and home to the Temple of the Tooth Relic of Lord Buddha, one of Sri Lanka's holiest shrines. If you visit city in July or August, you can experience Kandy Esala Perehera, an annual ritual of the Sacred Tooth Temple. In addition, Kandy is a city set in forested hills and surrounded by tea plantations. As one of the most beautiful cities of Sri Lanka, it is famous for its scenic beauty and rich cultural value. Top Tip: The rail journey from Colombo to Kandy is highly recommended. You can get a taste of Kandy cultural dance as well. Galle is the main city and port on the south coast. Built by Europeans, the Old Town of Galle and its Fortifications show the interaction of European architecture and South Asian traditions. There are two main gates to the Fort, containing the Dutch Coat of Arms on one side and the British on the other. Houses with art decoration from the Dutch and British period can be seen on the street, many of which have become boutique shops and guest houses. 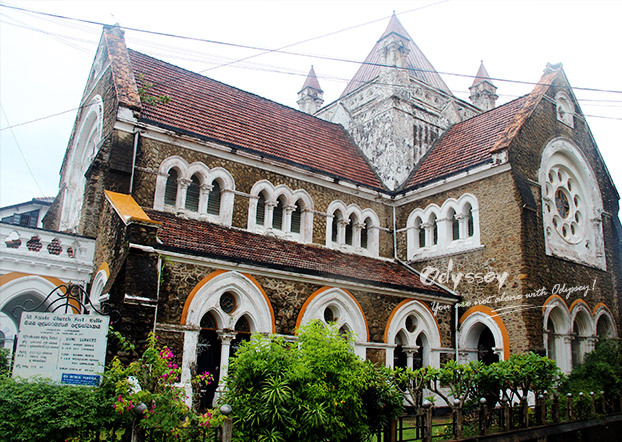 Dutch Reformed Church, National Maritime Museum, Old Dutch Hospital and the New Orient Hotel are the major landmarks within the fort. Top Tip: A fantastic way to see the old town is from atop the fortress walls at dusk. 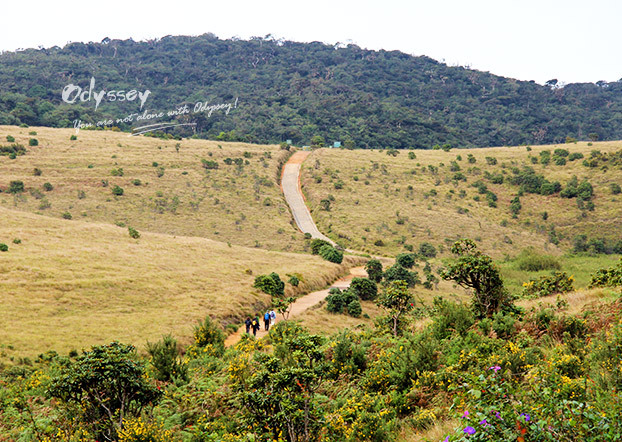 Translated as "Kingdom of the Lion", Sinharaja Forest Reserve is an important national park of Sri Lanka and has been declared a Biosphere Reserve due to its significance to the island's ecosystem. Sinharaja is the country's last undisturbed area of primary tropical rainforest and home to an abundance of rare endemic species including mammals, butterflies, birds, fish, reptiles and amphibians. Top Tip: The dense vegetation makes animals difficult to spot and drier months (August to September, and January to early April) are the best times to visit. Dambulla Cave temple is Sri Lanka's largest rockcave temple built on a 600-feet high rock. Golden Temple of Dambulla (also known as Dambulla Cave temple) is the largest and best-preserved cave temple complex in Sri Lanka, which has five caves and 157 statues of the Lord Buddha. The caves, rock and temple can date back to the 1st century BC. Travelers can appreciate intricate and delicate paintings covering the ceiling and walls in the temple. Its historical, archaeological and artistic implications make this place a must-see. Top Tip: Make sure to take your shoes off before entering the main cave area and you can wear socks to avoid the pain from the stones. The newest addition to the list, Sri Lanka's highlands are made up of three wet-zone parks: the Peak Wilderness Protected Area, the Horton Plains National Park and the Knuckles Conservation Forest. 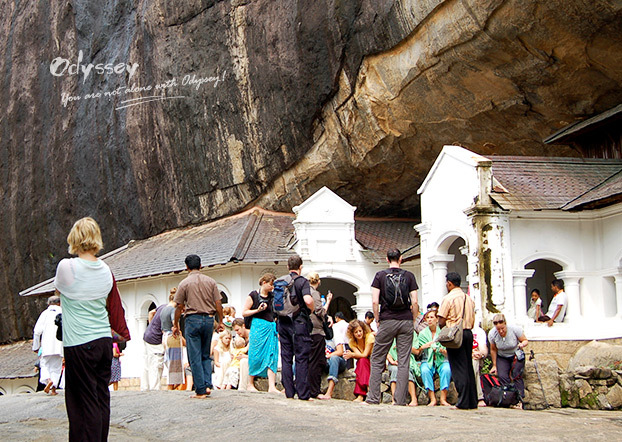 Adam's Peak is the highest point, which has become a significant center for Buddhist pilgrims. It's a biodiversity hotspot with an incredible range of endemic species. Even several endangered species can be found here, such as the western-purple-faced langur, the slender loris and the Sri Lankan leopard. Top Tip: The central highlands are pleasantly cool and relatively dry from January to April. Would you like to visit these remarkable world's heritages in Sri Lanka? If they have whetted your interest, please contact us at for professional suggestions and we'll tailor-make an unforgettable Sri Lankan trip for you! The Festival of the Tooth is one of the grandest festivals in Sri Lanka and in the Buddhist world. It is held every summer in Kandy to honor the sacred tooth of Lord Buddha and to pay homage to old gods of Sri Lanka. Festivals offer a wonderful chance to experience the diverse cultures and a rich tapestry of local lifestyle in Sri Lanka. Here I hand-pick 7 of the best festivals in Sri Lanka which are really worth knowing and experiencing. As wildlife enthusiasts traveling to South Asia, you cannot afford to miss the following four hot spots to spot the world's most fascinating and rare animals in their natural habitat.